Mark Your calendar! 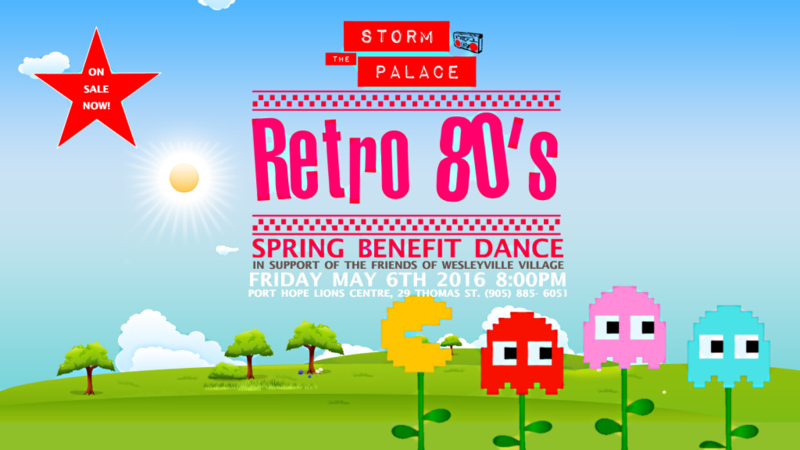 Storm The Palace return to Port Hope for their first (public) local show of 2016. The Lions Centre at 29 Thomas St in Port Hope will host the band in support of THE FRIENDS OF WESLEYVILLE. This organization is committed to the preservation and restoration of Wesleyville Village, a small section of Lakeshore Rd in Port Hope established in the 1860’s that was once a thriving community with a school and a church and several farm houses.ALL PROFITS FROM THIS SHOW WILL BE DONATED TO FRIENDS OF WESLEYVILLE. More information about TFOWV can be found here.